The Gallagher family has called Deeprath Castle home for seven hundred years. Nestled in the Wicklow Mountains of Ireland, the estate is now slated to become a public trust, and book lover and scholar Carragh Ryan is hired to take inventory of its historic library. But after meeting Aidan, the current Viscount Gallagher, and his enigmatic family, Carragh knows that her task will be more challenging than she’d thought. Two decades before, Aidan’s parents died violently at Deeprath. The case, which was never closed, has recently been taken up by a new detective determined to find the truth. The couple’s unusual deaths harken back a century, when twenty-three-year-old Lady Jenny Gallagher also died at Deeprath under mysterious circumstances, leaving behind an infant son and her husband, a renowned writer who never published again. These incidents only fueled fantastical theories about the Darkling Bride, a local legend of a sultry and dangerous woman from long ago whose wrath continues to haunt the castle. The past catches up to the present, and odd clues in the house soon have Carragh wondering if there are unseen forces stalking the Gallagher family. As secrets emerge from the shadows and Carragh gets closer to answers—and to Aidan—could she be the Darkling Bride’s next victim? 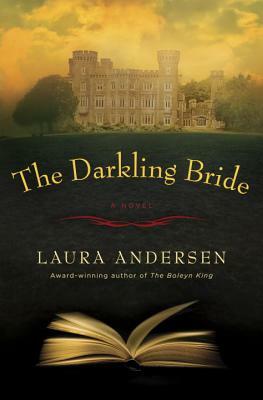 Laura Andersen is the award-winning author of the Boleyn King trilogy (The Boleyn King, The Boleyn Deceit, The Boleyn Reckoning) and the Tudor Legacy novels (The Virgin’s Daughter, The Virgin’s Spy, The Virgin’s War). She has a B.A. in English (with an emphasis in British history), which she puts to use by reading everything she can lay her hands on. She is married with four children and lives in Boston.